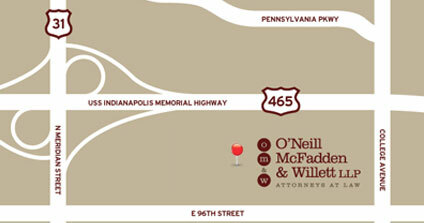 Ms. Erickson joined O’Neill McFadden & Willett LLP as an Associate Attorney in October 2012 after passing the July 2012 Indiana Bar Examination. 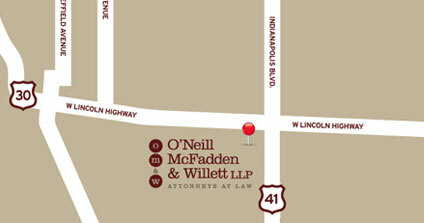 Previously, Ms. Erickson worked at O’Neill McFadden & Willett as a law clerk. 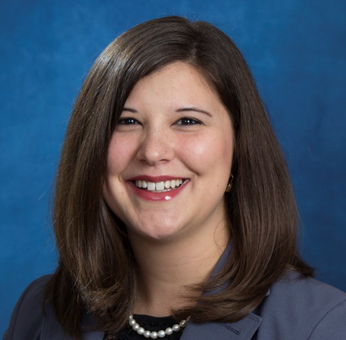 While attending Valparaiso University School of Law, Ms. Erickson worked as a legal intern at the Cook County States Attorney’s Office and several law firms in DuPage County, Illinois. Ms. Erickson is also a member of Porter County Inns of Court and Defense Trial Counsel of Indiana (DTCI). Indiana Farm Bureau Insurance v. Bane-Welker Equipment, LLC, et al., Marshall Circuit Court (September 4, 2018). Obtained summary judgment on behalf of a farm equipment distributor in a claim based on product liability and breach of warranty arising out of a fire. Trevino v. Comprehensive Care, Indiana Court of Appeals, Cause No. 45A05-1603-CT-683, affirming Trial Court’s granting of Motion to Dismiss on behalf of Defendants, transfer to Indiana Supreme Court, denied 2016. Northern Indiana Public Service Company v. BMW Constructors, Inc. et al., Marion Superior Court (February 1, 2017). Represented a subcontractor in a declaratory judgment action seeking indemnification for expenses incurred in defending a wrongful death claim arising out of a construction accident. Kathleen has successfully tried a number of bench trials, representing physicians, dentists, and auto shops/auto mechanics. Jan Rademacher v. Chip Larock, Lake Superior Court, Gary, Indiana, October 1, 2015. Bench Trial. Judgment for Defendant. Angelica Saraceno v. Robert Moll, D.D.S., Lake Superior Court, Crown Point, Indiana, August 25, 2015. Bench Trial. Judgment for Defendant. Donna Kleine v. Richard Guaccio, D.D.S., Lake Superior Court, Crown Point, Indiana, January 14, 2015. Bench Trial. Judgment for Defendant. Cecil McClendon v. Anthony A. Brucci, D.D.S., Lake Superior Court, Crown Point, Indiana, January 14, 2015. Bench Trial. Judgment for Defendant. Ronald E. Sheron, Jr. v. Midas Auto Systems Experts, Allen County, Fort Wayne, Indiana, July 28, 2014. Bench Trial. Judgment for Defendant. Lorraine Bigbie v. Thomas Tarin, M.D., Lake Superior Court, Crown Point, Indiana, April 4, 2014. Bench Trial. Judgment for Defendant. Melissa Petty v. Superior Petroleum Products, Inc., Lake Superior Court, Crown Point, Indiana, May 20, 2013. Bench Trial. Judgment for Defendant. Sandra L. Moskwinski v. SR 23 Auto Specialists, St. Joseph County, South Bend, Indiana, December 12, 2012. Bench Trial. Judgment for Defendant.